Customer loyalty vs customer stickiness: once more with feeling! Home > Business > customer experience > Customer loyalty vs customer stickiness: once more with feeling! Contrary to some premature obituaries, no it isn’t – but it certainly seems like there’s less of it about. This is not only because of an increase in choice and competition, but also due to changes in consumer behaviour. Increased choice has led to more discerning clients, and a higher level of customer buying sophistication. Increasingly, people buy on a case-by-case, horses-for course basis and will look for the best buying choice for each specific purchase, increasingly choosing specialist products and services over the generic and generalist. Buying behaviours are becoming more transactional and less relational. With the growth of e-commerce and a focus on easy, frictionless business, customers are increasingly resistant to developing ‘relationships’ with their providers and suppliers – instead preferring a low engagement, transactional approach with minimal hassle. And minimum obligation! So, creating customer loyalty seems to be getting harder, but does that mean that businesses should aim for customer ‘stickiness’ instead – where customers stay with you not because of some vague obligation or emotional tie, but simply because you consistently deliver? 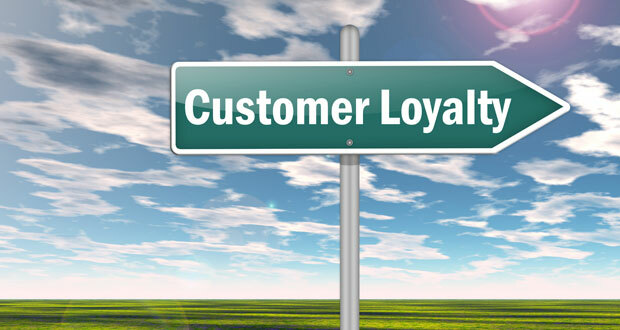 To answer this question, let’s have a look at the different types and benefits of customer loyalty. Customer inertia occurs where people buy a thing because they always have – it’s a habit: a routine, which has some comfort/reassurance. There is no relationship or emotional engagement and increasingly only occurs where there is limited competition. There is no real loyalty here: your customers will be very vulnerable to being picked off by new entrants. Within the realm of inertia, shallow loyalty occurs where you think you have loyal customers based on a good relationship – but where this is not tested in a competitive environment. Again, if a new competitor comes along offering a better value transaction, you might find those relationships were weaker than you anticipated. Stickiness occurs where customers keep coming back to you in a competitive environment because of a consistently better value transaction – possibly due to price, speed, benefits, convenience, service or a range of factors. Stickiness is real and valuable. Real loyalty occurs where there is deeper relationship based on trust. Here, people are willing to overlook what might seem like a better transactional offer elsewhere because of a genuine emotional bond, and the higher value of trust. Loyalty or stickiness? And does it matter? So both loyalty and stickiness should be highly valued. If customers keep coming back to you, does it matter why and how? Real loyalty should be seen as the most valuable type of relationship because that deeper trust and emotional engagement offers a defence against superficially superior offerings. Aiming for customer stickiness through high value transactions is fine as long as it works, but offers you no defence if someone comes along who is a little bit cheaper, a little bit quicker, a little bit better. Stickiness can also be seen as a stepping stone to true loyalty. A consistent series of superior transactions can in time lead to trust and real loyalty, even where there seems to be limited depth to personal relationships. customers are increasingly opting for low-engagement, frictionless purchases that offer little scope for the deeper personal relationships that can lead to trust. But that doesn’t mean you shouldn’t try. Businesses need to learn how to build trust and demonstrate superior value quickly and efficiently without asking too much of their customers. They need to work on constantly topping up their ‘trust’ account by consistently adding value and exceeding client expectations. They need to risk manage all their customer interactions so that trust is never lost. They need to move past the transactional and rational to make a real emotional impact: making clients really want to choose them over superficially seductive competition. Customer loyalty is not dead!